A really warm day today, I never intended to end up riding the route I did! It just sort of developed as I rode along. 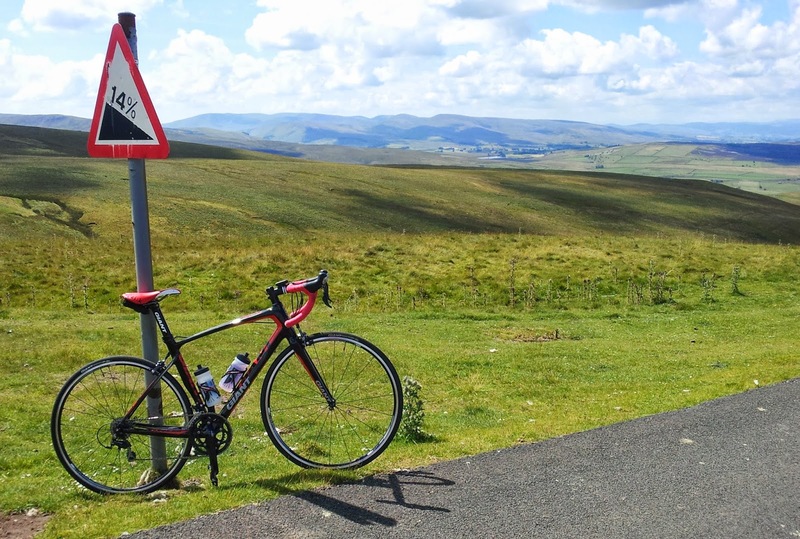 The pic is taken at the top of Lamp Moss looking across to the Howgill Fells. It was good to ride part of the Tour de France route....very humbling!